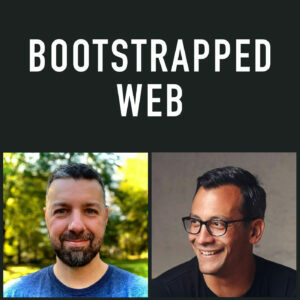 The Bootstraped Web podcast featured bootstrapped startup case studies and entrepreneur interviews. Hosted by Brian Casel (@CasJam). Hey! We are back from MicroConf and we’ve got some great takeaways from the experience. We discuss the speakers and the talks and how the experience changes for us year to year. We also have some updates for you. Brian is still working on ProcessKit and is trying to connect with the right customer base. He shares how he is doing it and what he hopes to accomplish it. He is also thinking about marketing the product. We discuss the benefits of hiring a marketer but we also look at the trickiness of finding someone you can work with effectively. Plus, if you know any good technical writers, send them Brian’s way. Jordan has some exciting milestones to share and a new way of thinking that he hopes will take things to a new level. 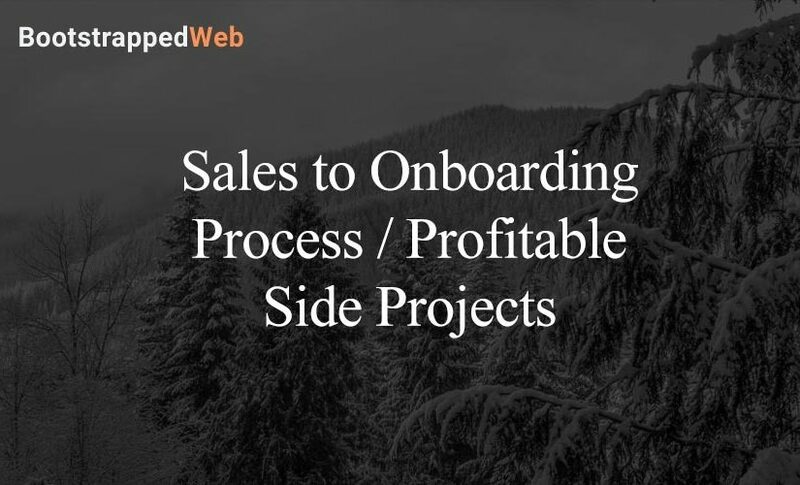 The Carthook team has grown and the focus has shifted to on-boarding, We discuss the importance of onboarding and making sure your new hire is properly prepared for the job. Jordan also opens the door to a conversation about hiring personal assistance. There are a lot of things to consider when hiring a personal assistant. Jordan shares the process he went through to find his assistant and why he felt it was a necessary investment for him and Carthook. Our MicroConf experience and takeaways. What are Tick Tock projects? The common stumbling blocks founders find when looking for customer feedback. How Carthook is trying to improve its new hire onboarding process. Deciding what is valuable in your product and charging accordingly. Why Brian is considering hiring a marketing expert. Jordan’s personal assistant and what she does for him and the company. The hunt for a technical writer in Audience Ops. How to sell your company to a potential hire and still be realistic. MicroConf is coming and we’re psyched! We take a glimpse at the schedule for this year’s event and we talk about what we’re looking forward too. Brian has an update on his pricing issue with ProcessKit and the conclusion he came too. Jordan is happy to announce that Carthook’s plateau is over! Brian tries to help him pinpoint the cause but the answer seems to be a combination of things. 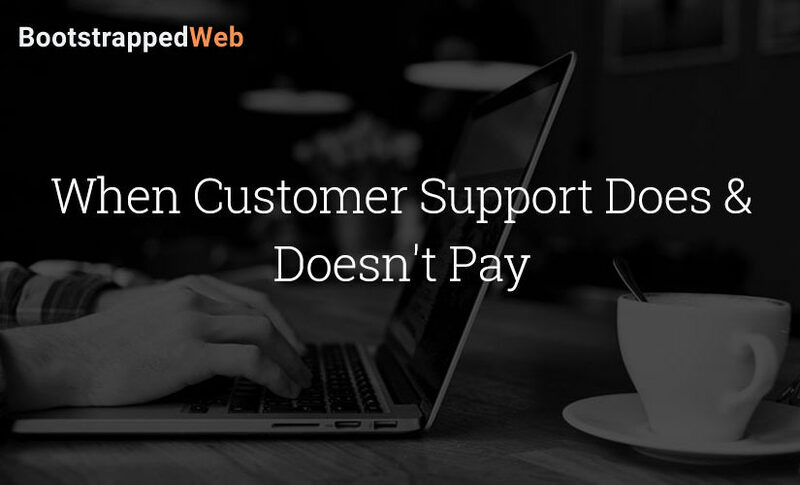 We also talk about customer service and when is it best to just redirect a customer to another service or product? What’s the best way to save everyone some time and manpower? What we look forward to during this year’s MicroConf. The two options Brian is considering for product pricing. The benefit of focusing on team product users. Carthook is finally past the plateau from the holiday season. The onboarding challenges of ProcessKit. Brian’s experience with on-boarding with ConvertKit. The introduction of Customer Engineers into Carthook’s support team. How to tactfully weed out “bad” customers. Brian’s contemplation about leaving the sales role in Audience Ops. MicroConf is just around the corner and we are ready for it! We share our excitement about the conference and encourage you the listeners to say hi if you plan to attend this year. Brian has an update about ProcessKit and he actually has a launch date! He also wants to bounce around some questions about pricing. If you have a suggestion for him let him know at MicroConf..
Jordan is reaching a new phase in Carthook. The team has started experimenting in customer account relations and vetting their customers for better quality in customer service and retention. He shares what they have learned from the process and what it means for current and future Carthook clients. Taking some time off and traveling with the family. The 3 resources that Brian has found the most useful for ProcessKit. How customers are reacting to the experiment. The decision to vet Carthook customers and improve churn. 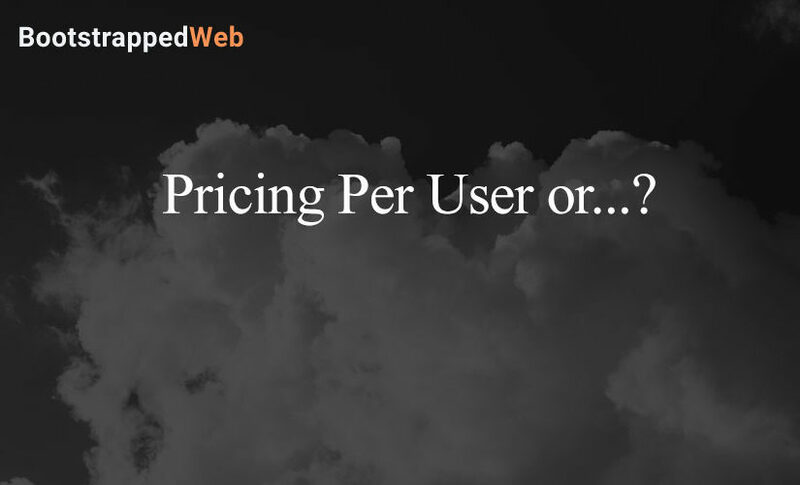 The pros and cons of various pricing models. Posted on March 21, 2019 March 26, 2019 Author craighewittCategories PodcastLeave a comment on Pricing Per User or…? We cover a subject that affects all bootstrappers today. 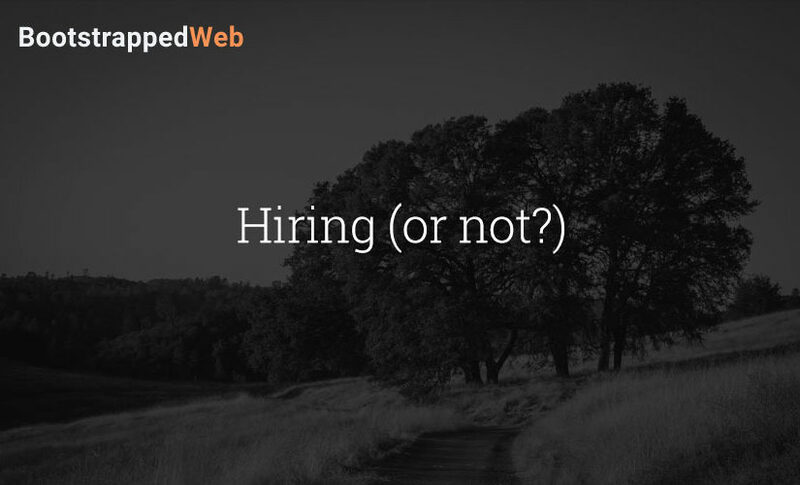 Should you hire or not? 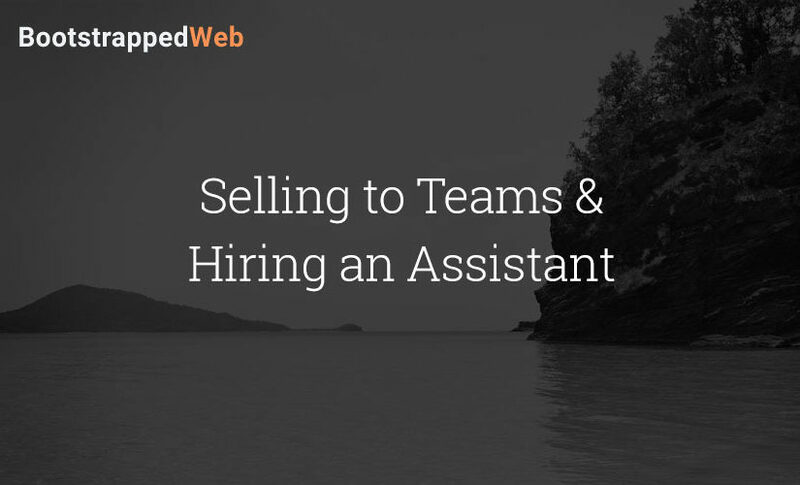 This topic comes up because we both are looking to hire some new team members. Jordan has seven job openings and Brian is looking for a new writer for Audience Ops. We discuss how we go about hiring for these positions and why it isn’t always a smooth process. Brian also has some updates on ProcessKit and Productize. For the whole month of March, Productize will be open to new customers. Brian shares what he learned from last year’s open sessions and why he is doing it differently this year. Personal updates and upcoming plans. Brian is getting back into ProcessKit. Productize will be open all March! Brian’s process for finding a new writer for Audience Ops. Jordan’s hiring needs and why it is complicated. Jordan’s approach to hiring new team members. Why some people interview well but are hard to work with. The levers of business and how to use them in the hiring process. The benefits of being a solo founder. Hire to achieve goals, not vanity. Coping with distractions and getting back on track. The 4 lessons Jordan learned from a potential acquisition. Who Is Selling the Product? MicroConf is right around the corner! We are excited and really looking forward to this year’s event. Brian is jumping back into ProcessKit but he’s struggling to get back into the groove. We discuss why that happens and how we try to keep momentum during a project. We also discuss the role of salespeople and what is a fair incentive in a small team? Carthook is dealing with customers expectations and Jordan made some mistakes during the meeting. He reflects on those mistakes and shares what he decided moving forward when dealing with customer feedback. Brian’s efforts to pick up ProcessKit. How to get back into a project when you’ve been away from it. The 3 mistakes Jordan made during a “What Our Customers are Saying” meeting. What he learned from those mistakes. How to balance quality control with customer expectations. Are salespeople worth the commission? Are shared commissions a good idea? Responding to Derrick Reimer’s tweet. Why you should consult with a customer and not demo. 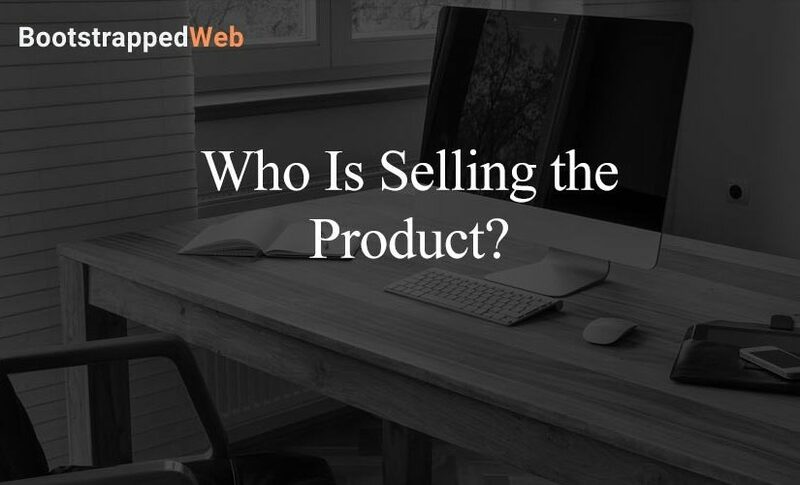 Posted on February 21, 2019 February 21, 2019 Author craighewittCategories PodcastLeave a comment on Who Is Selling the Product? This week, Jordan has been very focused on sales. He and his company are considering hiring their first salespeople. Jordan shares he believes that they’ve gotten complacent and are starting to look at things in the wrong way – in aggregate instead of in detail. Brian went to Colorado last week with one big question: What is Sunrise KPI? Is it a side hustle? Is it a full-time business? Keep working on it or give it up? After assessing the numbers, he’s decided to wrap up his work on Sunrise KPI and focus on ProcessKit. He’s not shutting down Sunrise, just stepping back from adding on to it. 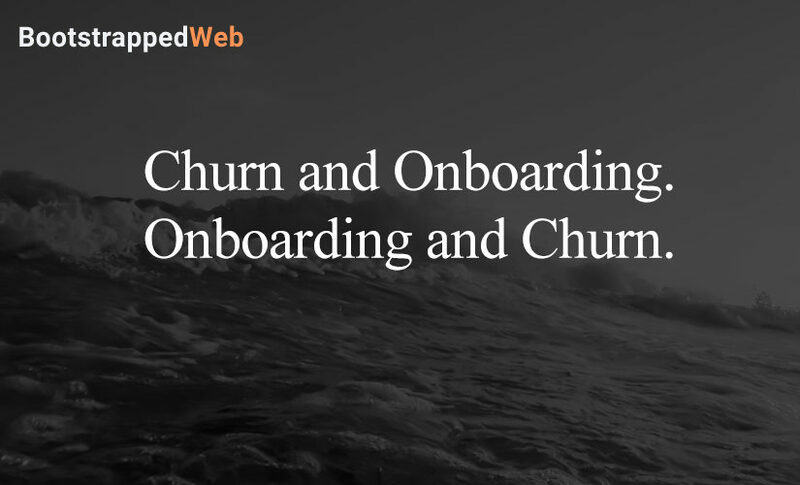 Churn and Onboarding. Onboarding and Churn. Today we talk about something that affects all businesses, churn. No matter how successful your business is, everyone deals with customer churn. Jordan has decided to tackle Carthook’s churn problem head-on. He shares with Brian how he and his team have gone “on the offensive” to keep churn low and still bring new customers into the business. In return, Jordan helps Brian sort out what exactly is going with Sunrise KPI. Brian has been surprised by the response to Sunrise KPI. He is actively looking for feedback on the app and, he is trying to decide how far to take the development. He also gives the audience an update on ProcessKit and swears he will get back to it. And you Big Snow Tiny Conf fans will hear about how the Vermont session went. Jordan’s move to “offensively” preventing churn in Carthook. The lessons Jordan has learned about business strategy. The new process he and his team came up to put those lessons into practice. The current state of SunriseKPI. The meeting that changed Jordan’s view on churn. Always work to make processes and systems the best they can be. How we calculate our churn numbers. The way Jordan identified the right candidates for his new churn approach. The 2 types of customers he is targeting for this new process. 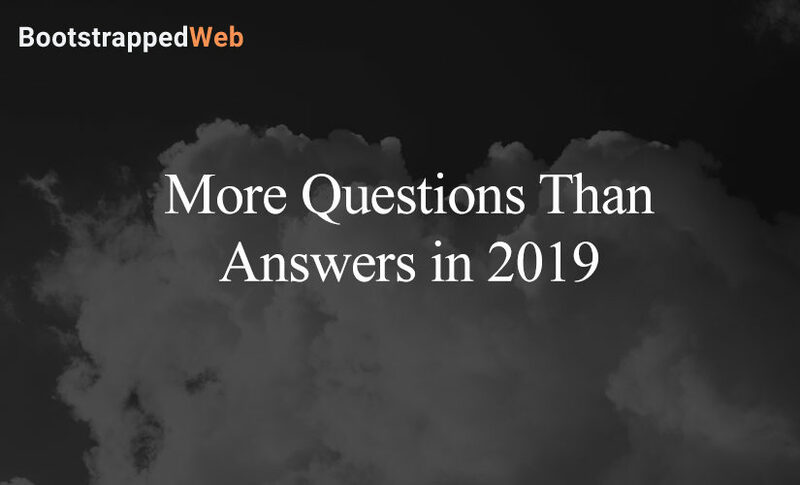 Posted on February 7, 2019 February 6, 2019 Author craighewittCategories PodcastLeave a comment on Churn and Onboarding. Onboarding and Churn. Welcome to 2019! This is our first episode of the year and we have a lot to say! Brian is planning a lot of travel these few months. That means that some of his projects are on the back burner. He gives an update on both ProcessKit and Sunrise KPI and explains his tentative plans for this year. Jordan is getting ready to visit the team in Slovenia and help them move offices. He also discusses some of the goals he has for 2019. These goals include being more transparent with his audience. We debate the pros and cons of that goal as well. Finally, we address the elephant in the room (or on Twitter.) The Drip controversy is fresh in our minds. For those outside of the situation, Drip has announced a price increase and it blew up in their face. We give our opinion on the situation and talk about what Drip did wrong and what their competitors did right. Here’s to an awesome 2019! Brian’s travel plans for the next few months. The audience’s response to Sunrise KPI. A ProcessKit update and plans for 2019. Jordan’s upcoming trip to Slovenia. The culture challenges the Carthook team is dealing with right now. Jordan’s goal to be more honest and open with his audience. Carthook’s end of the year numbers. The lesson Drip can teach software startups. The price increase and the poor handling of the announcement. How Twitter blew up and sparked a debate about the announcement. Our thoughts on the backlash and mob response. How Drip’s competitors took advantage of the mob response. Our comparison of the competitors’ offers and tools. We are shying away from discussing goals or resolutions for the businesses this year. Instead, we reflect on how the bootstrapped world and business models have changed. A lot of approaches and marketing techniques have gone by the wayside in the last two years. We share our observations of how self-funding has changed as a strategy. 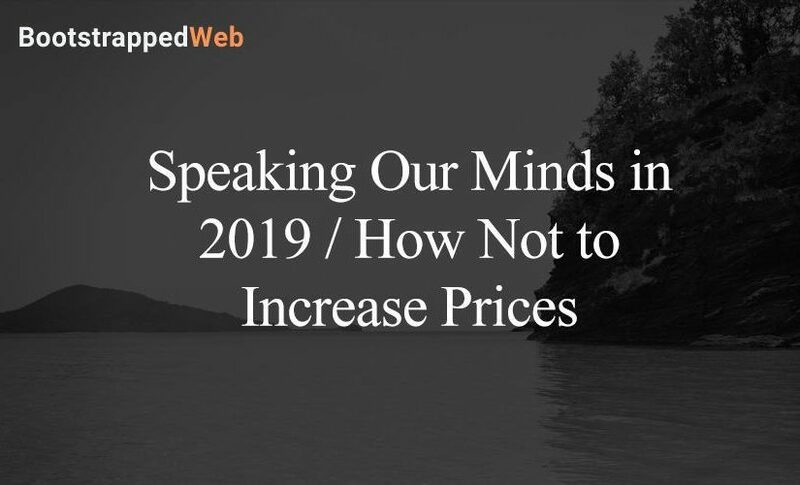 We also talk about the big D-word (downturn) and the real possibility that 2019 might be a major game-changing year for the economy. A look back at Brian’s 2018. Why we are forgetting about goals and resolutions. How the bootstrapped world has changed since the beginning of this podcast. What works in self-funding now. The current realistic expectations of the bootstrapping model. How VC funding is going to change in 2019. The pending economic downturn and how to prepare for it. The holidays are here! The office parties are going on and Christmas music is everywhere! Today Jordan is celebrating the growth of Carthook by offering his employees stock options. He discusses the stickiness of the decision and the excitement and nervousness that comes with the big announcement. He also tells a customer story that opened his eyes to user experience and how Carthook can step up their game and really deliver a great customer experience. Brian’s ProcessKit partnership has fallen through. But he’s not discouraged, he shares what it was like to have that difficult conversation and how he plans to move forward. He also announces his second product in a month! Sunrise KPI is Brian’s latest product and he is proud to offer a great tool to his customers. Brian’s new product Sunrise KPI. The customer meeting that changed Jordan’s perspective on his product. Brian’s Plan B for ProcessKit. Jordan is announcing employee stock options and he’s nervous!